View the archived Host Site Facilitator’s Training Webinar that took place on Wednesday, September 20. Wisconsin will host three e-Forum orientation sessions in addition to the national orientation. We would encourage you to participate in the first one on September 27. We will also have an orientation before each e-Forum. To register for the Wisconsin e-Forum Orientation sessions, contact Laura Gundlach at laura.gundlach@ces.uwex.edu . Call in number for the Wislines are listed on the front page of the Staff Resources Site. To send your county’s offerings, please fill out the Google Form and/or send them to Laura Gundlach at laura.gundlach@ces.uwex.edu. Burnett County UW-Extension Office RSVP one day prior to event by contacting the office. 6:00 pm Calumet County Courthouse, Lower Level Room 17 (enter on west side of building) No advance registration required. 5:30 – 7:30 pm Lincoln County Service Center, Lower Level Conference Room 156 Contact Cherie Hafeman at: 715-539-1072 or chafeman@co.lincoln.wi.us one week prior to the session you wish to attend. Appleton, WI Please call 920-832-5123 and talk with either Kayla Viste or MaryBeth Wohlrabe. All programs will be at the Polk County Government Center; Balsam Lake. Look for signs on the door as to where the program will be held. 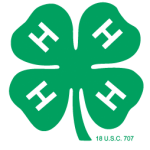 “Helping 4-H”ers Grow in Life & Work” REGISTRATION DEADLINE – November 27th. To register- contact the Polk County Extension office at 715-485-8600 or e-mail Charles.prissel@ces.uwex.edu. RSVP at https://goo.gl/forms/B3kPHTfVy2pEOaU23 or 715-748-1981.